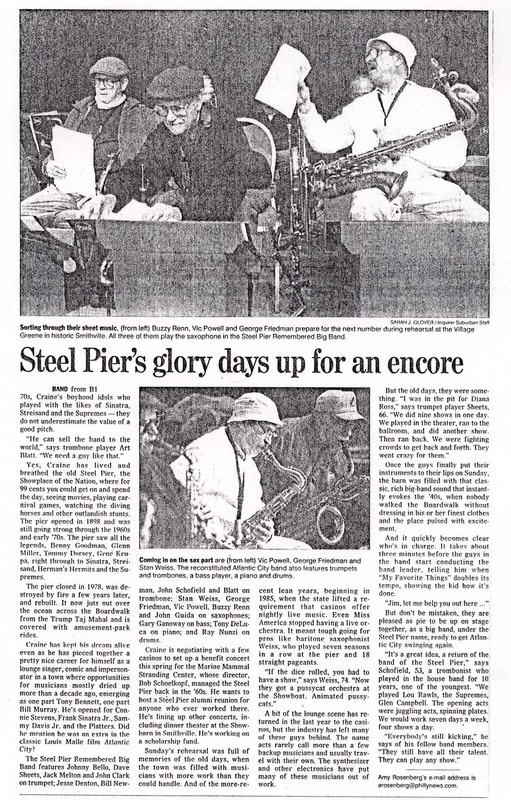 Memories of the Steel Pier and More! 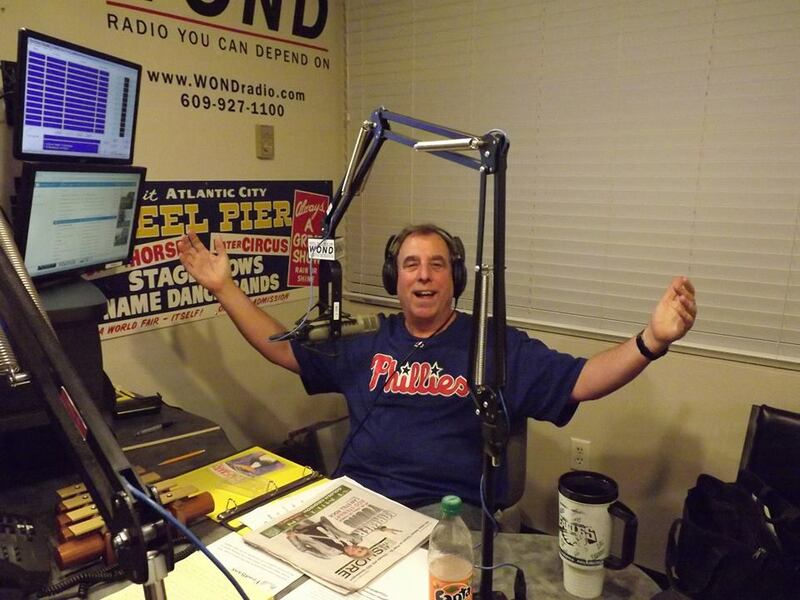 At 1400am WOND "Hamming it Up!" 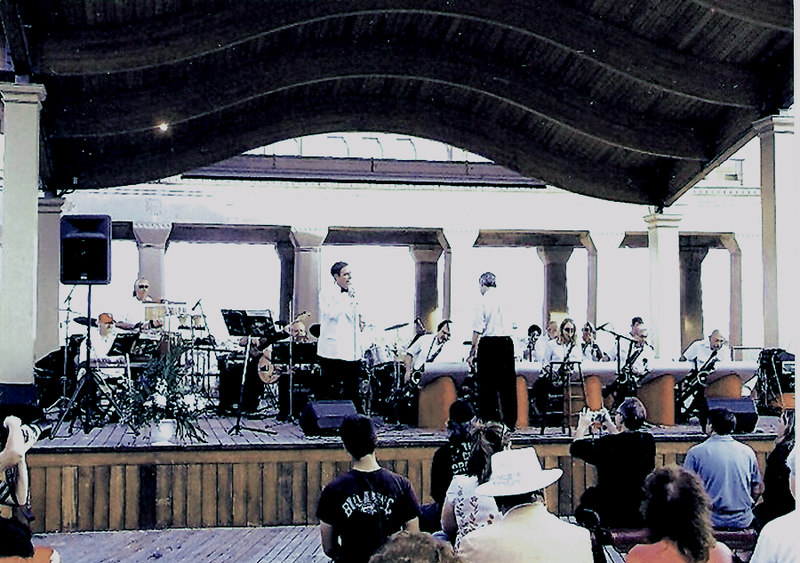 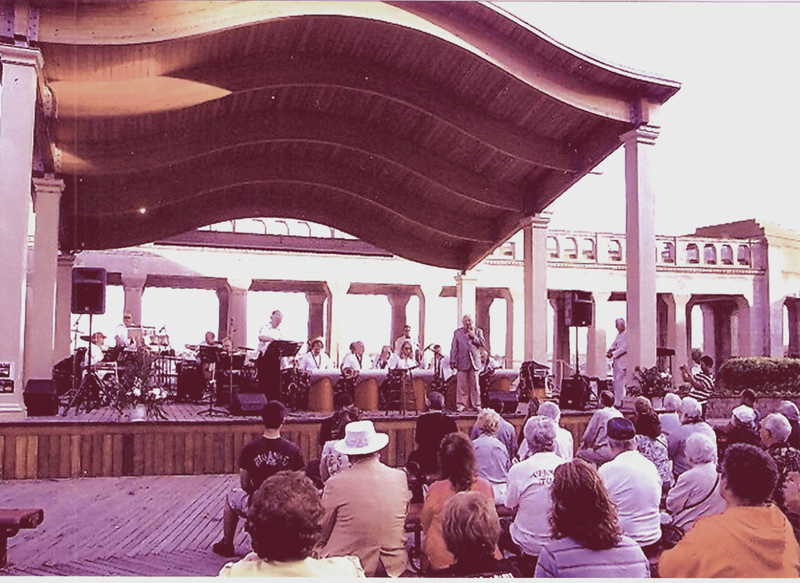 "The Steel Pier Remembered" Big Band in Concert / Summer 2009... Kennedy Plaza, Atlantic City. 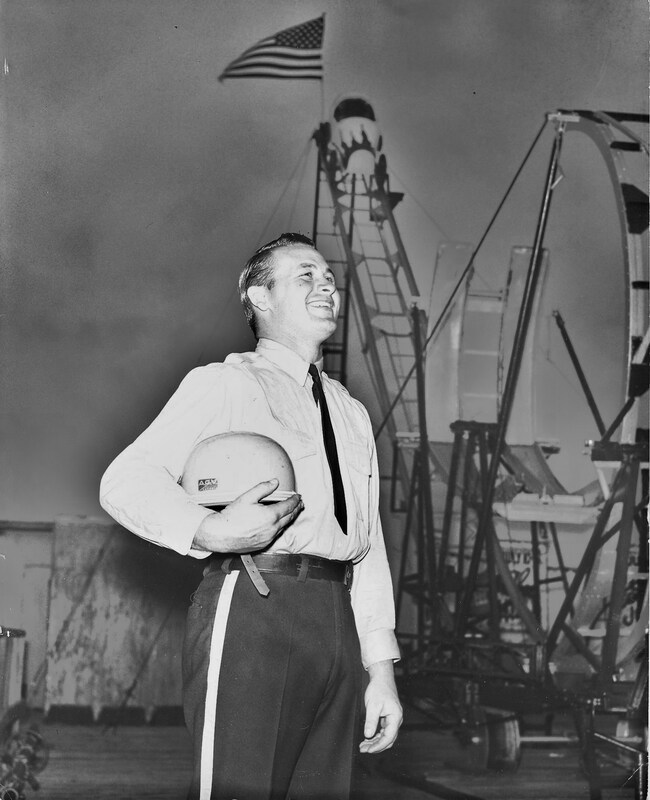 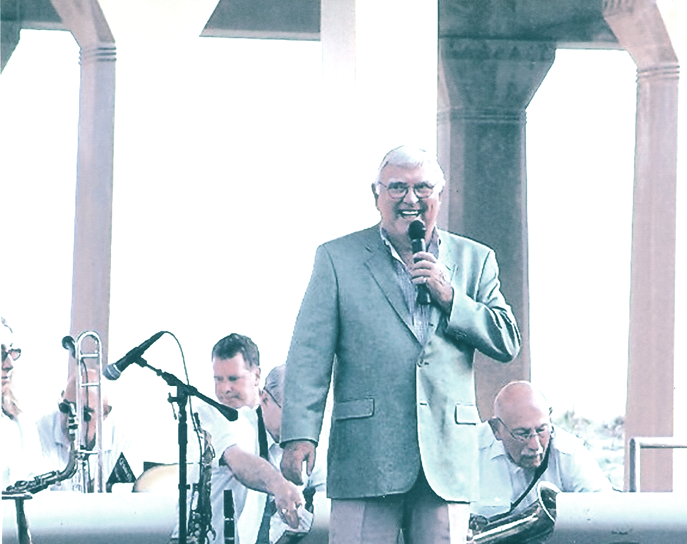 Ed Hurst, MC and host of tv show "Summertime at the Pier". 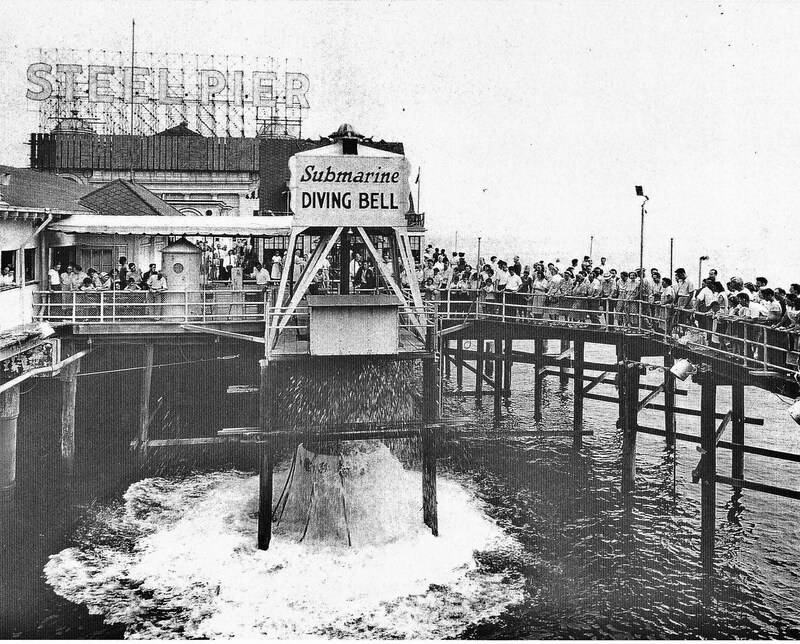 Steel Pier diving bell before 1962 storm. 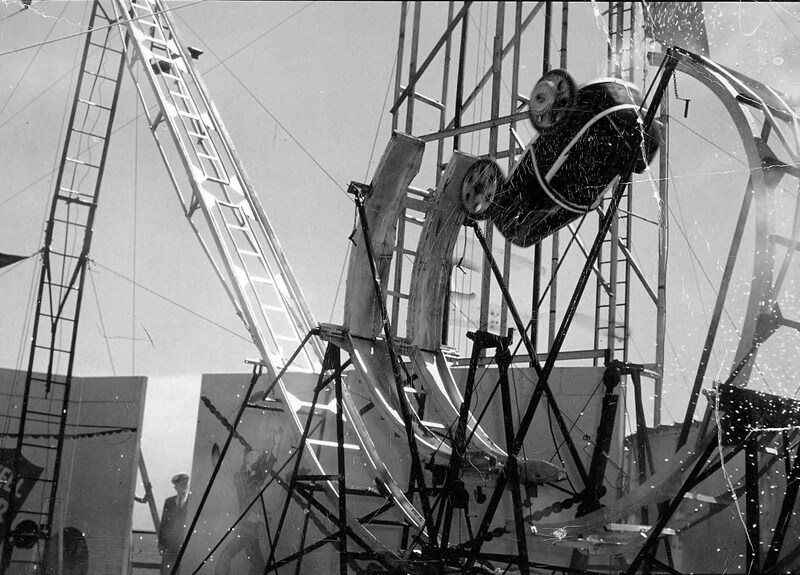 Great attraction! 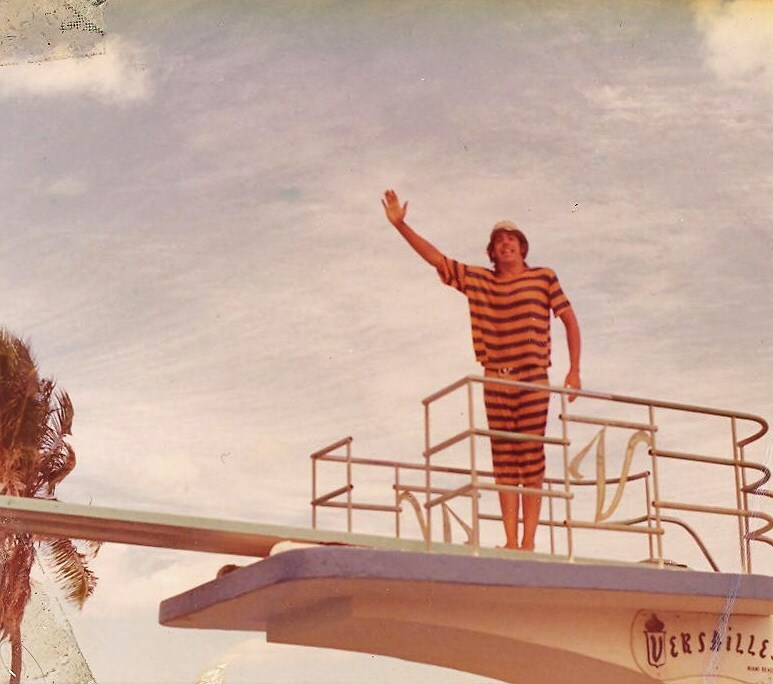 Dove into the ocean like being on a submarine. 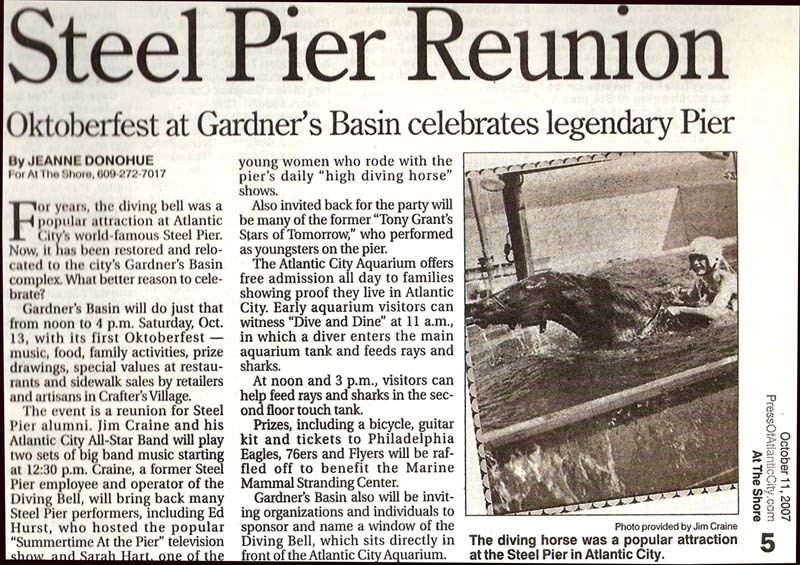 Steel Pier diving bell; rebuilding after 1962 storm. 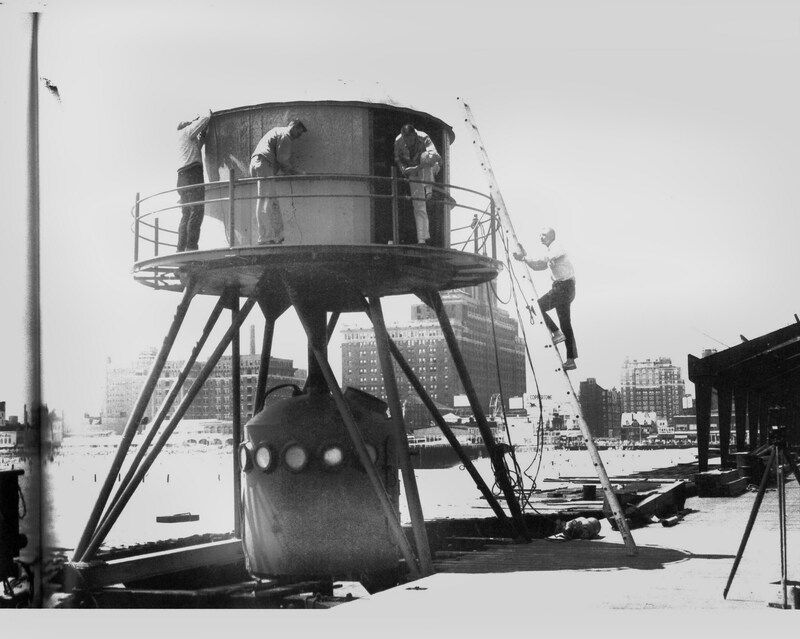 Jim ran diving bell 1969. 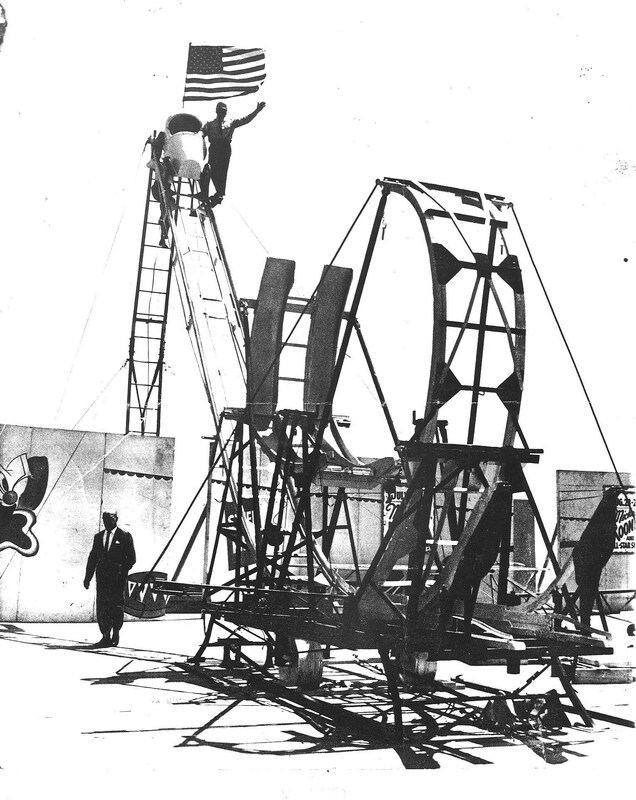 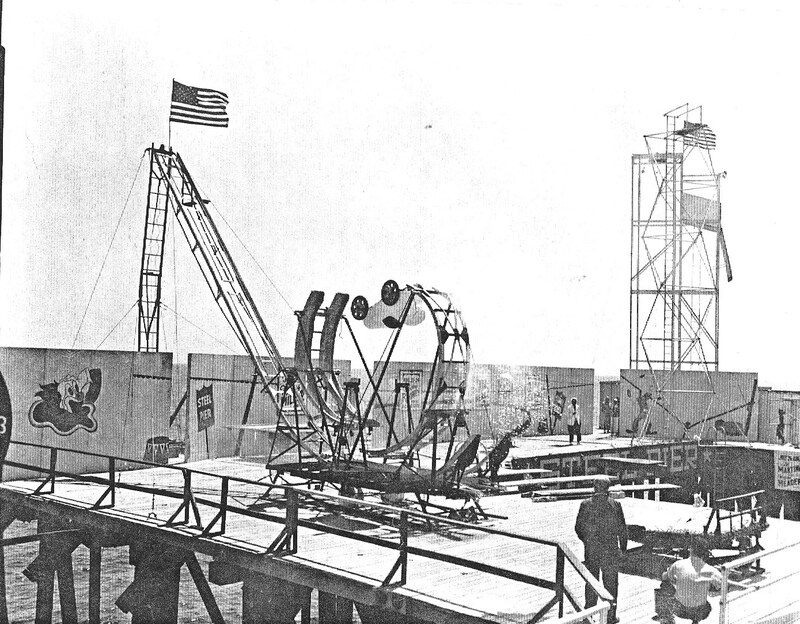 Steel Pier Rocket Car; the only act of its kind; only played at the Steel Pier and the State Fair. 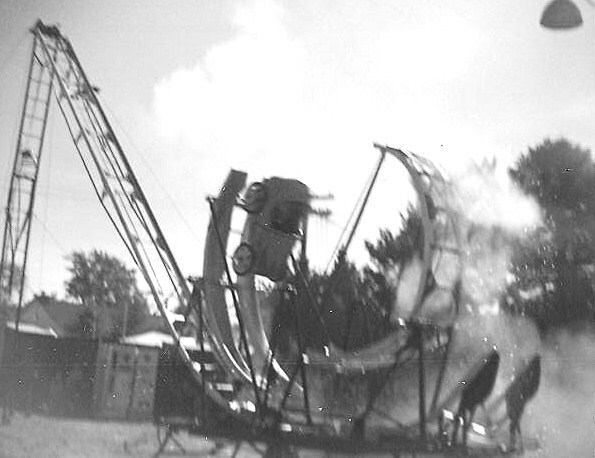 The Rocket Car in action! 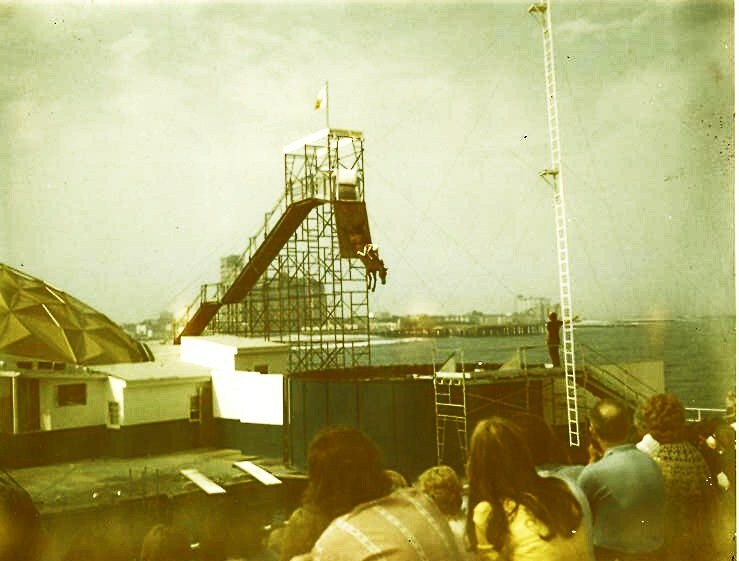 Jim Craine as one of the Diving Clowns, Steel Pier 1971;. 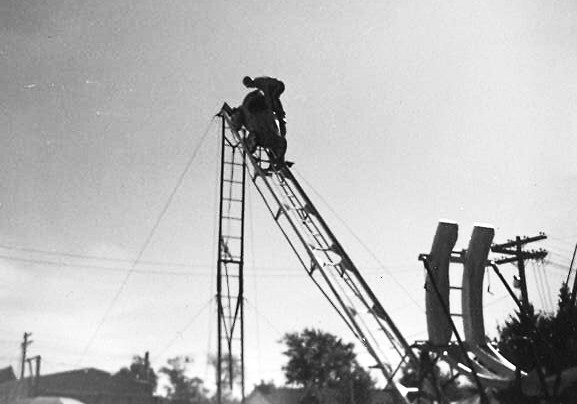 Rehearsal on slide with Doug Gandel. 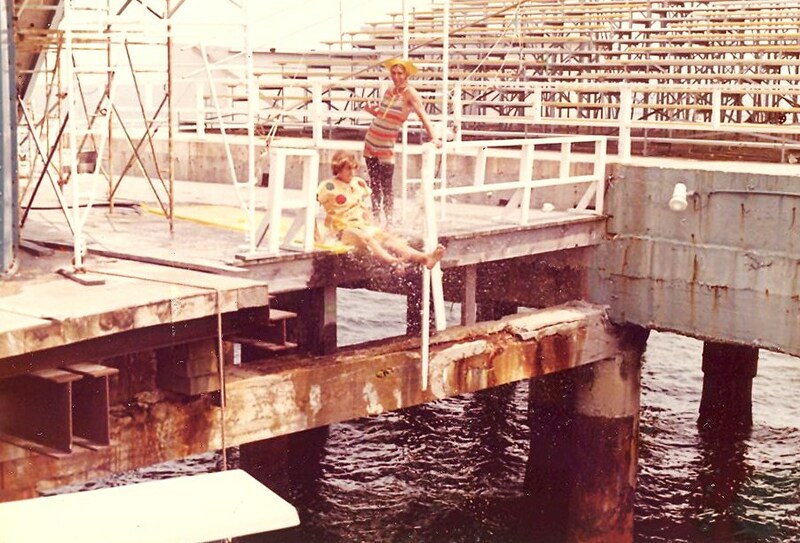 Jim waiting at the top of the catch ramp for the Diving Horse, 1970; Diving Horse Gamal, rider Patti Dolan. 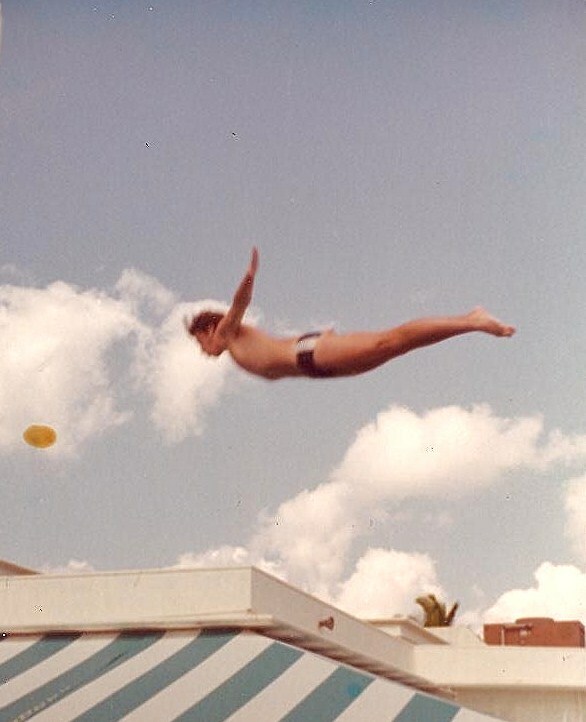 Diving Clown act 1975, Versailles Hotel, Miami Beach, Florida. 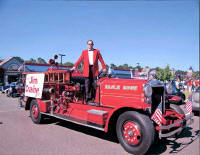 Galloway's 4th of July 2009 Parade! 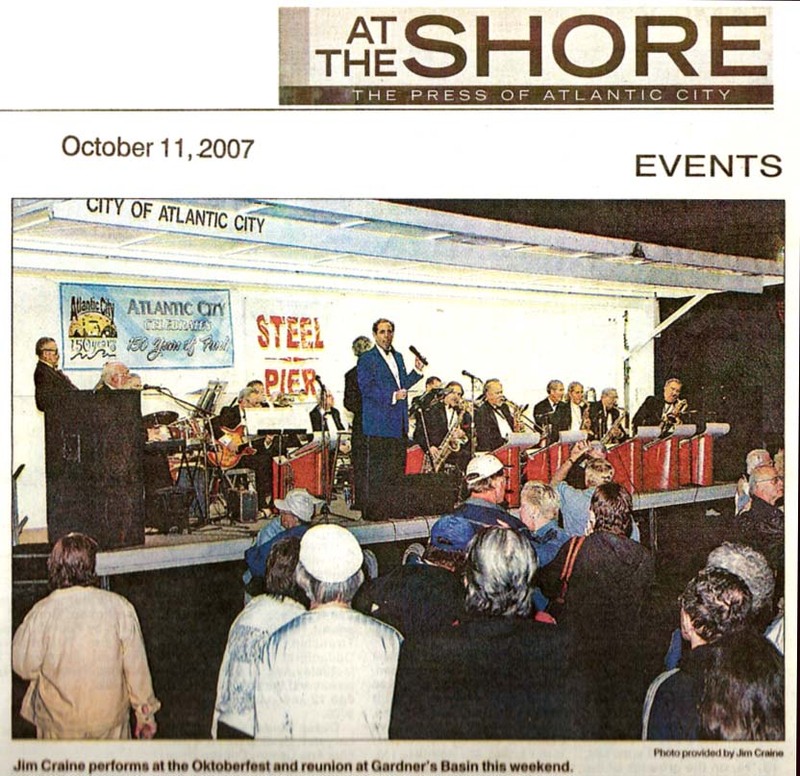 October 13, 2007 Steel Pier Reunion Article and three sets of pics below. 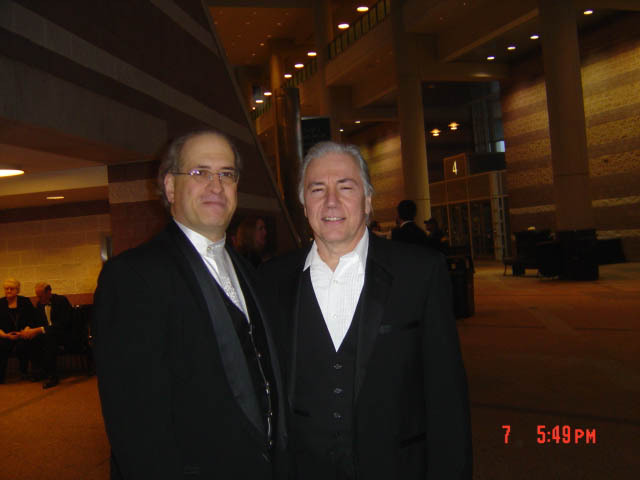 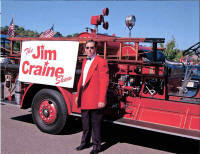 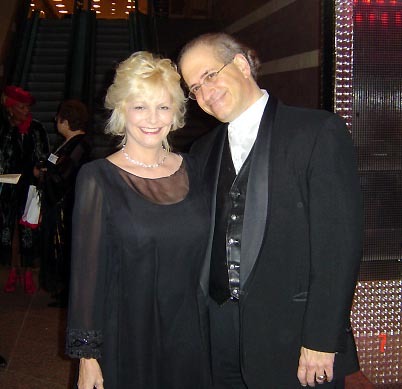 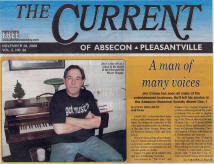 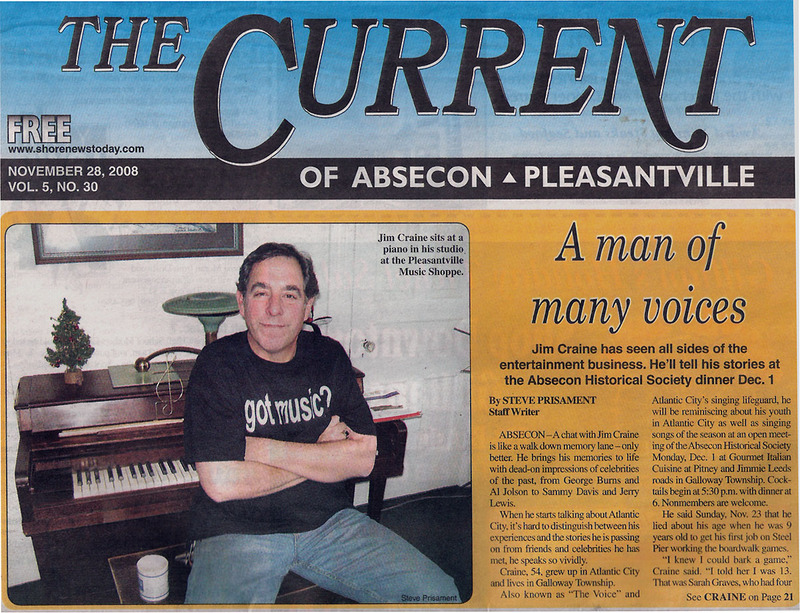 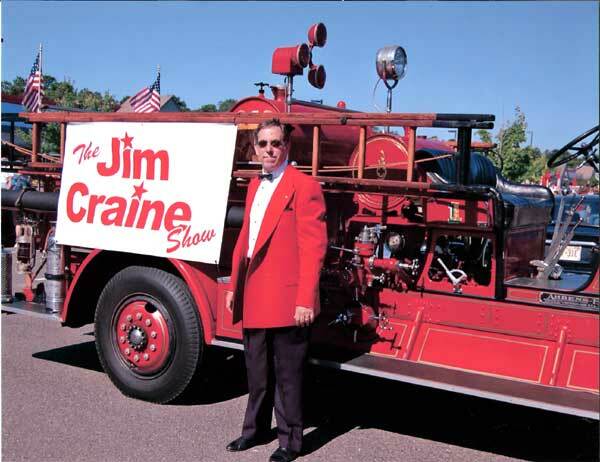 Different events and friends/fans/musicians and newscasters with Jim Craine and his band! 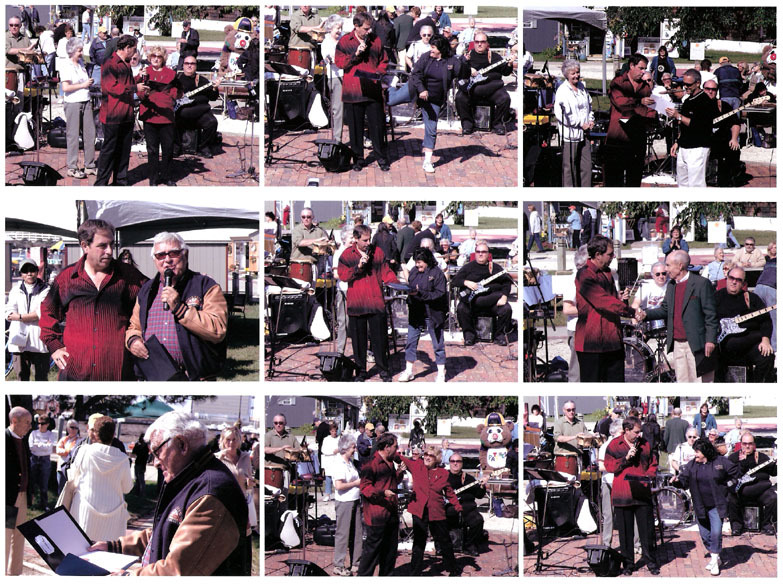 (click on pics to enlarge). 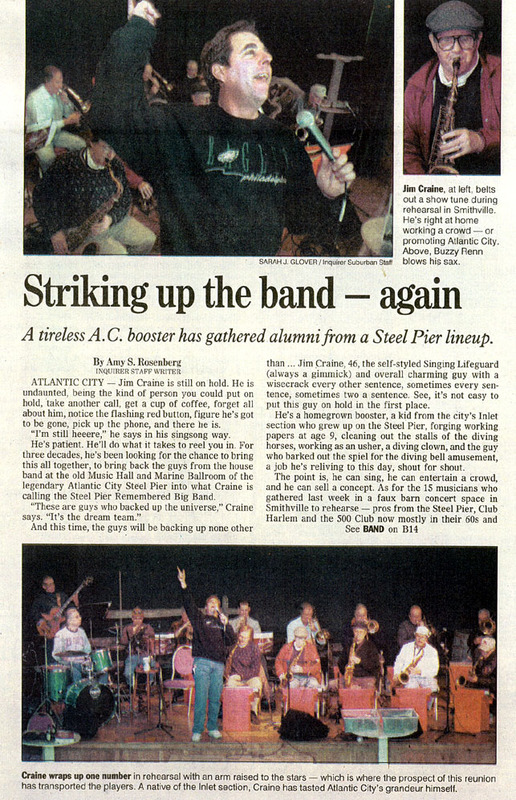 in AC. 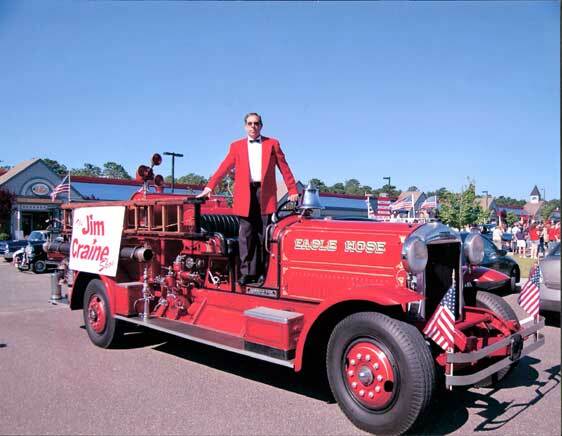 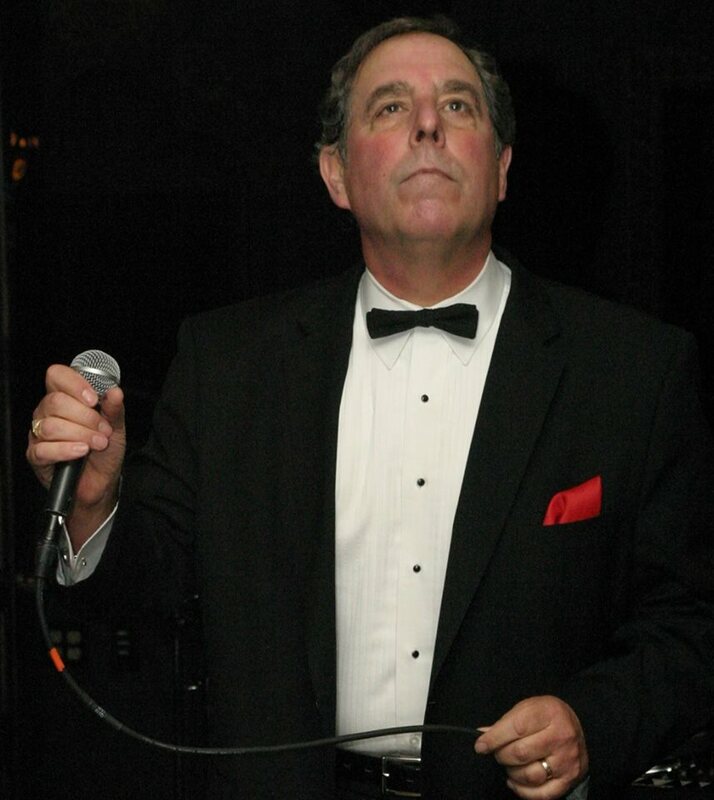 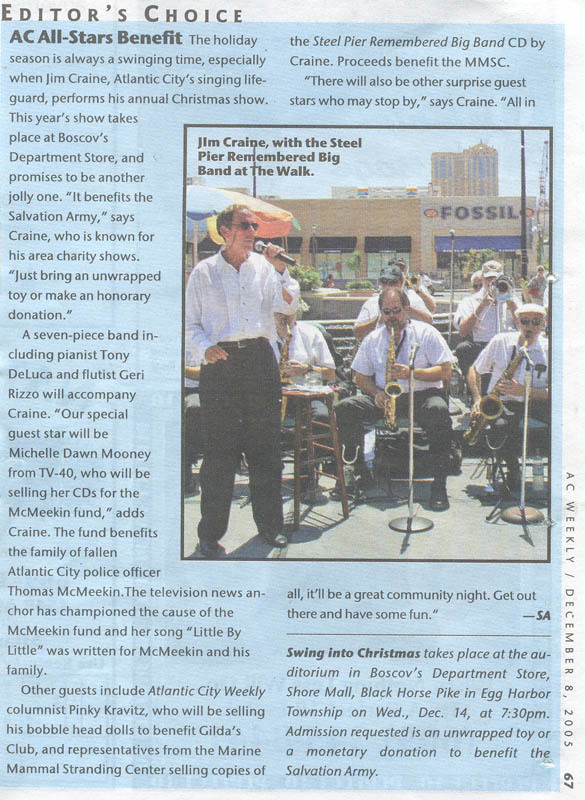 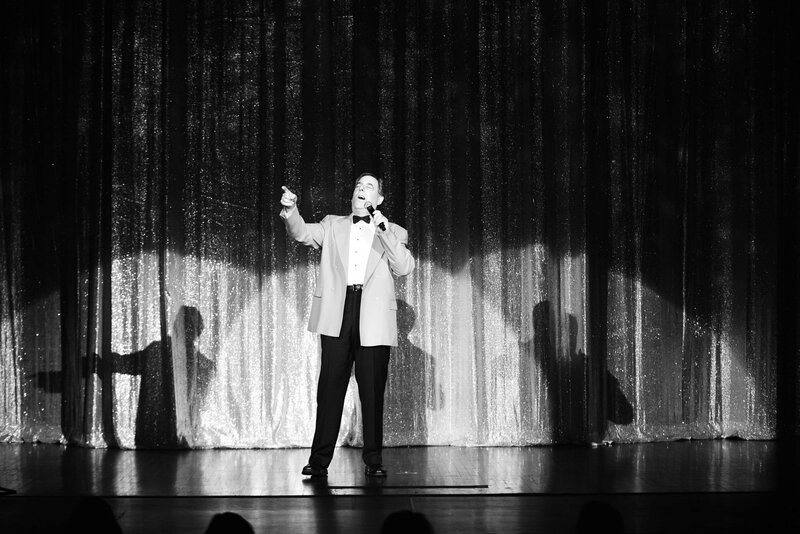 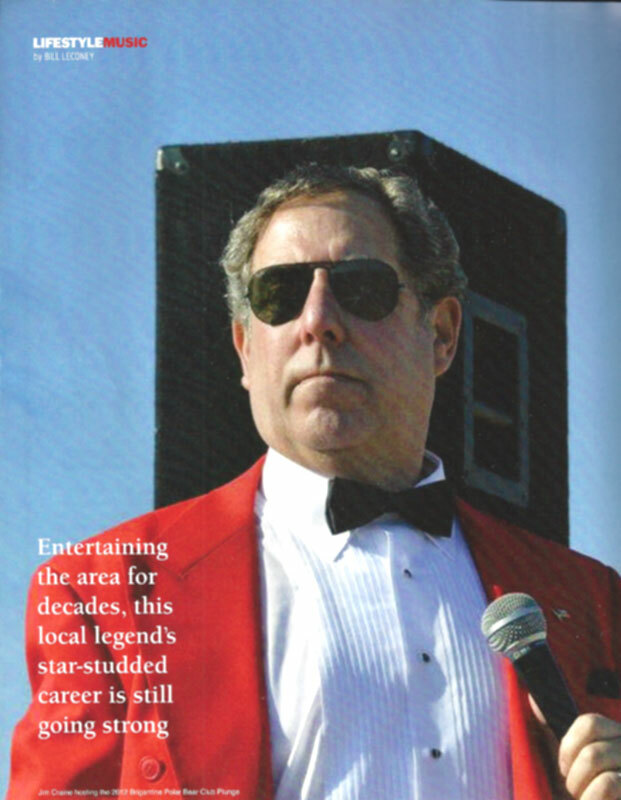 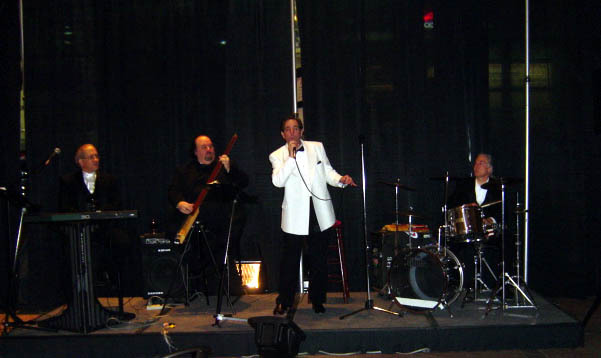 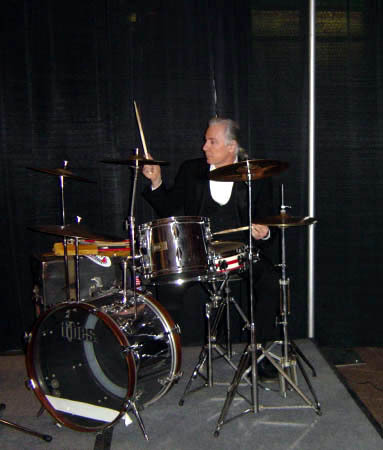 Jim Craine and the Atlantic City All Star Band performed. 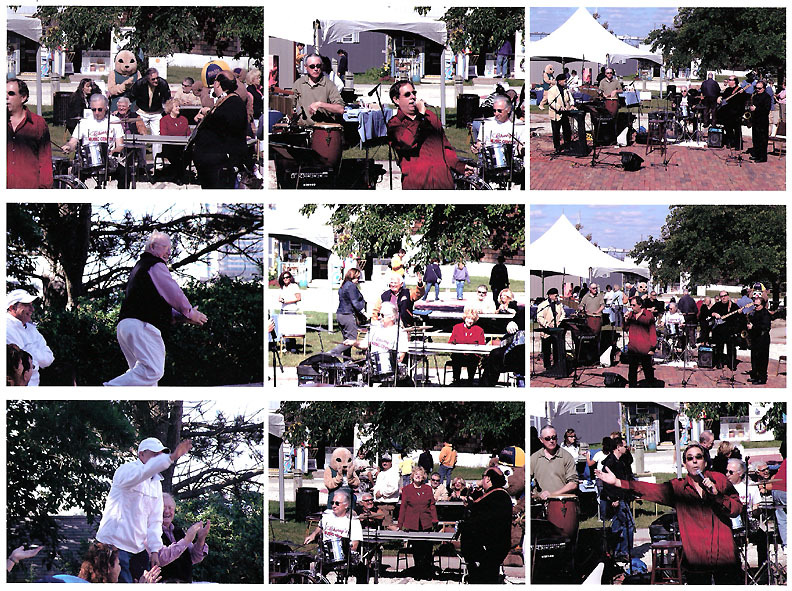 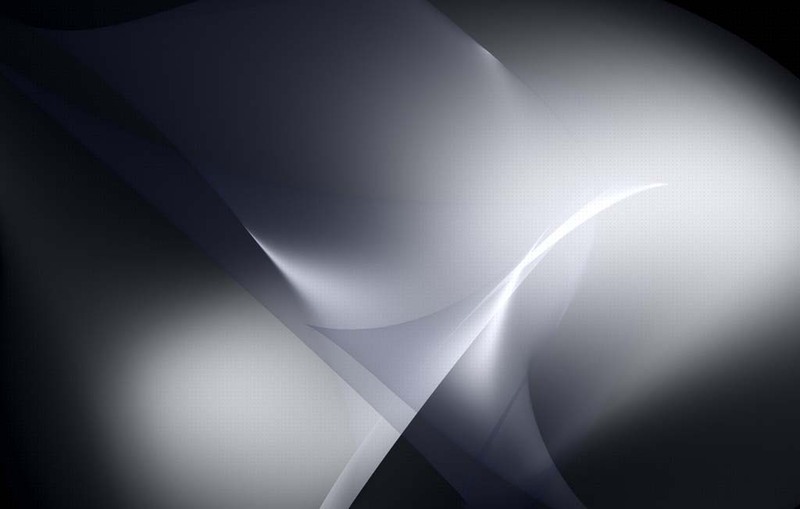 Guests included, Ed Hurst, Sara Hart, Jimmy Hamid, Roxy Grant, Cantonoso Family, Tom Lamaine and Pinky Kravitz. 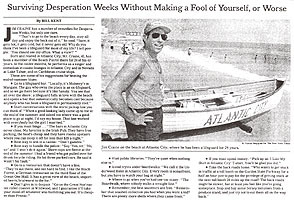 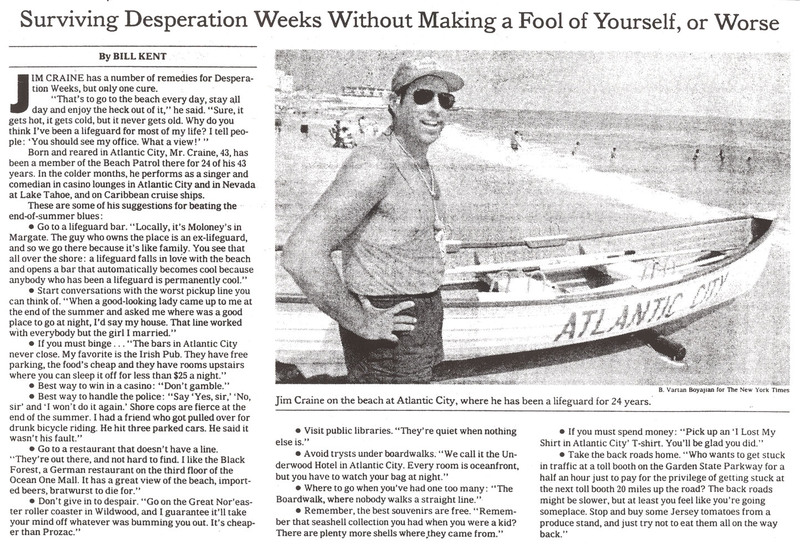 Jim makes the New York Times!